What to Pack for a Mediterranean Cruise - Packing List & Outfit Ideas! >> What to Pack for a Mediterranean Cruise – Packing List & Outfit Ideas! If you’re cruising soon and want to know what to pack for a Mediterranean cruise, then we’ve got the answers you need! 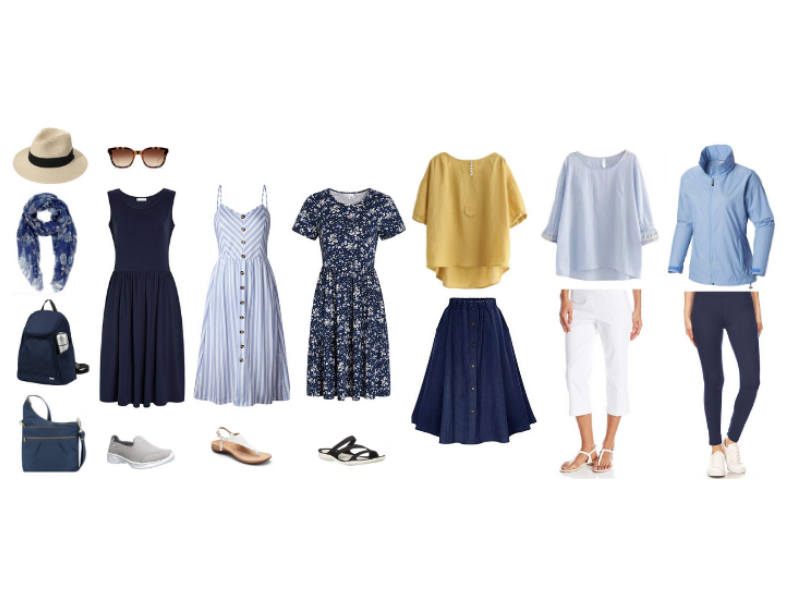 In this post we’ll cover all the basics on what to wear on a Mediterranean cruise. 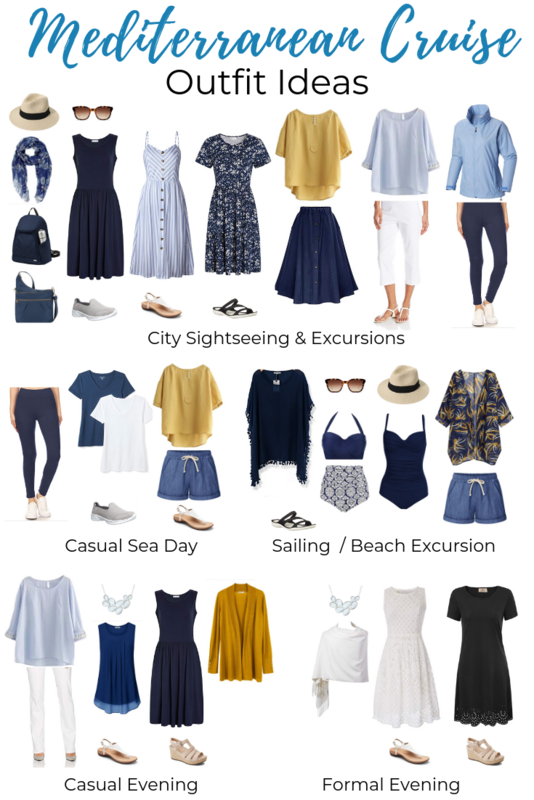 We’ve put together some great Mediterranean cruise outfits to use as a guide and we’ll give you a handy printable Mediterranean cruise packing list. We’ve also added in some great packing tips so you can pack smart for your trip to Europe! 5 Got questions or comments? 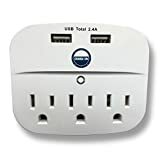 Travel adapter – Your ship may or may not have US outlets in your stateroom, it depends on the cruise line. For hotel stays in Europe pre and post-cruise, you’ll need an adapter. If you’re visiting London on your trip, you’ll need a universal adapter like this as the UK uses different plugs to Europe. 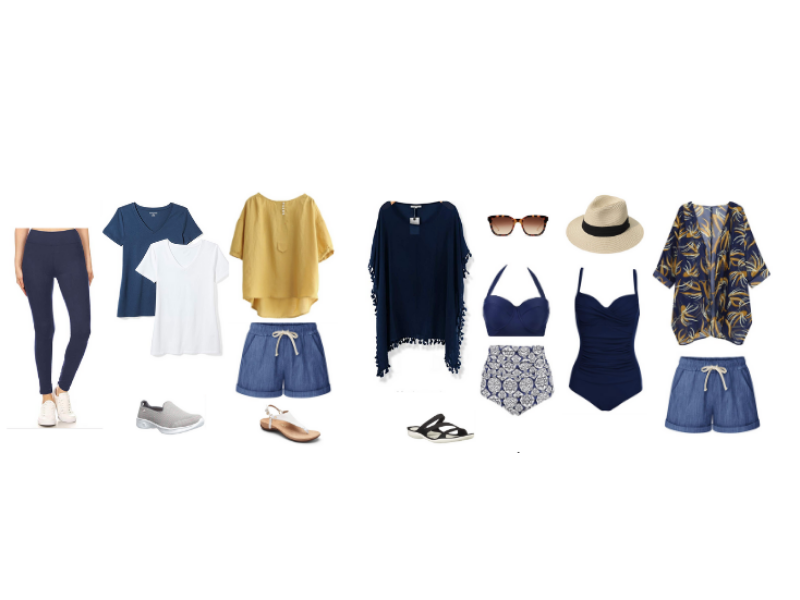 When planning out your Mediterranean cruise outfits look for comfortable, lightweight clothes that you can wear on long days sightseeing in warm weather. 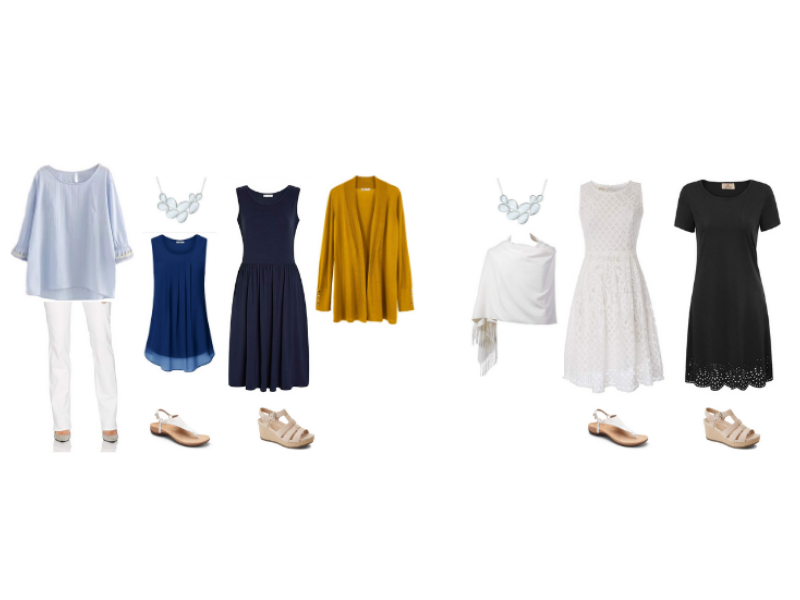 Build yourself a mix and match Mediterranean cruise wardrobe with colors that compliment each other. It’s easy to create more outfits by packing tops that work with all your bottoms. In this post we’ve used blue, white and a pop of yellow which work great with that gorgeous Mediterranean ocean backdrop for your photos but you can choose whatever you like. Choose crease-free fabrics for your Mediterranean cruise attire or bring a bottle of Downy wrinkle release with you to freshen up items. Choose items that can work for day and evening. A simple sundress is great for sightseeing on a balmy day but can also be dressed up for evening with a light cardigan, kimono or pashmina and some jewelry. White jeans paired with a blouse, tunic or chiffon top are great for casual evenings on board. You could also do capris if it’s very warm or linen pants if you prefer a looser fit. Bear in mind the locations and activities you have planned in port and dress accordingly. Shorts and sleeveless tops are often not allowed in churches and museums in Europe. It’s a good idea to have a lightweight scarf in your bag to cover your shoulders. Comfortable shoes you can walk all day in are key! Our favorite are the Sketchers Go Walk sneakers – you can walk all day around the streets of Europe in these, trust me! A pair of supportive, comfortable sandals are also essential for days where sneakers are too hot or to wear in the evening on the ship. These Vionic sandals are an excellent choice. Aerosoles sandals are another good option. These Croc Swiftwater sandals are super comfortable, lightweight, easy to pack and can be worn in a city or to a beach or sailing excursion as they’re waterproof. We based our Mediterranean cruise packing list on a summer trip as that’s when most people choose to cruise in the Med. 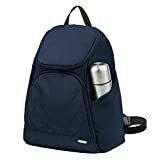 If you’re going outside of peak summer then you’ll need a few extra items, especially if you’re visiting any other parts of Europe on your trip where the weather isn’t as mild or reliable as in the Mediterranean (e.g. London, Amsterdam or Paris). Summer temperatures in the Mediterranean ports are hot in the 80s and 90s °F (or late 20s and 30s °C) with lots of bright sunshine, just what you want on vacation! This packing list was created for summer trips with a focus on dresses, capri pants and lightweight tops. One cardigan and a pair of leggings are all you’ll need to combat any cooler days or evenings and can also be worn on the plane ride for comfort. Even in the spring and fall you’ll find that the ports you’ll be visiting will have warm and sunny days in the late 60s and 70s°F (or 18 to 25°C). You will need to pack a pair of jeans and one or two light jumpers just in case of cooler days. Lightweight merino jumpers like these are ideal for this. In winter, you’ll find temperatures around late 50s to 60°F (or 12 to 15°FC). You can layer dresses with leggings or tights and cardigans. Add in a warmer jacket (packable ones like this are ideal) and another pair of jeans and switch out the sandals for a closed toe flat or ankle boot. When thinking about your Mediterranean cruise wear picture what you’ll be doing in port. Sightseeing in cities like Barcelona, Rome and Santorini. You’ll need good walking shoes for those cobblestone streets. Lightweight, comfortable dresses or blouses & a pair of capri pants. (If you don’t fancy capri pants then a lightweight linen trouser will work.) If you’re wearing a sleeveless dress, add in a lightweight scarf in case you’re visiting any churches or museums as you often need to cover your shoulders in Europe when visiting important sites. It’s always a good idea to pack a waterproof jacket (even in summer) as you never know when you’ll need it. If you encounter a cooler day you can always pop leggings on under a dress for an extra layer and add a cardigan over top. For casual sea day outfits, just wear a more relaxed version of your excursion outfits. T-shirts, blouses and shorts or dresses are all you’ll need around the ship. A pair of leggings are always a good idea to pack in case you want to go to the gym, power walk around the ship or just as something to wear in cooler weather or travel days. For days by the pool and for beach or sailing excursions you’ll need a couple of nice swimsuits and cover ups. Pack two so you’ve always got a dry swimsuit in case of back to back beach days or if you want to hop in the hot tub in the evening! These lightweight chiffon kimono tops are great for cruising! You can wear them as a pool cover up or over your swimsuit & shorts on a beach day. They can also be used when wearing a dress or top & pants to add a bit of color to your outfit and cover your shoulders from the sun or for entering a church. Super useful! You don’t have to change or get too dressed up for dinner but many people prefer to, especially after a sweaty day of sightseeing! You can wear your summer dresses with sandals or wedges in the evening. You can even pop the kimono top over a dress or wear a pashmina over your shoulders. A pair of white jeans are great for cruising as they work well for casual evenings with a blouse. A cardigan might be useful on cooler evenings. You’ll find that formal evenings on Mediterranean cruises are a lot more relaxed than those on Caribbean cruises. After busy days out and about sightseeing in European cities you may feel more reluctant to dress up. And that’s OK! A simple shift dress or two and a pair of wedges or flat sandals is all you need for more formal evenings on a European cruise. A statement necklace, pashmina and a red lipstick can do wonders to elevate an outfit like this for evening. Choose accessories you can wear with both dresses if you’re packing two. Click to get the printable packing list in PDF format! 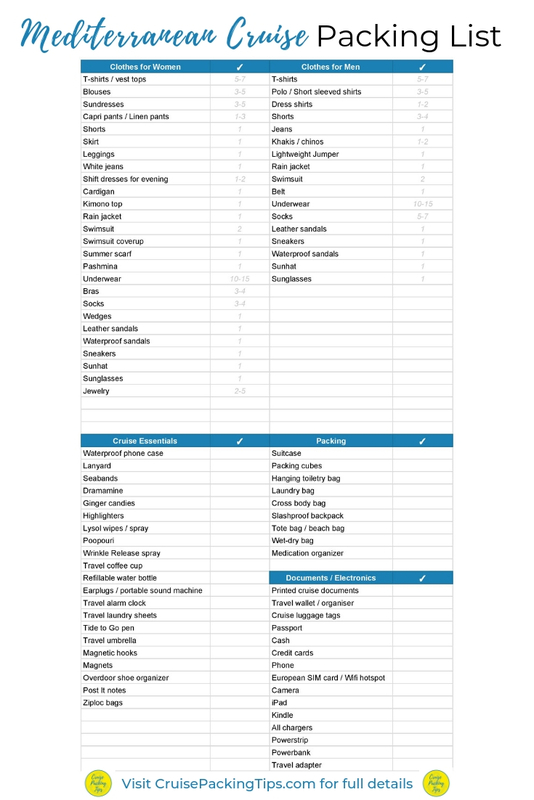 Click here to download our printable Mediterranean cruise packing list PDF. We recommend printing out a hard copy of our packing list for cruise to Mediterranean to help you get organized in plenty of time. Start pulling together clothes you think will work from your closet and then shop for the items you need to fill the gaps. You can mark them off the checklist as you pack. 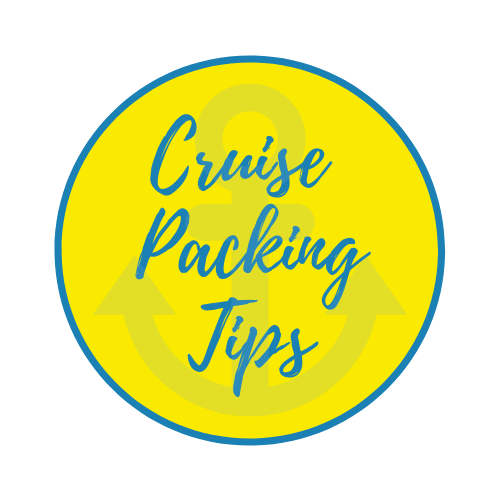 We’ve included numbers of each item on the packing list to use as a guide as European cruises can often go for a week but some are longer or you might be traveling in Europe before or after your cruise too. When thinking about how to pack for a 2 week Mediterranean cruise vs what to pack for a 7 day Mediterranean cruise, go for the higher number of items instead of the lower. Bear in mind that you most likely can do laundry on the ship if you prefer to pack on the lighter side but still have 7+ days of travel. You can read our post on packing light for a cruise here. It’s easier to travel around Europe with a smaller suitcase so use the smallest, lightest luggage you can manage. Hotel rooms, elevators and taxis can be small in Europe so larger bags aren’t ideal. There might not even be an elevator at your hotel and they often don’t have them at train stations for moving between platforms. If you want to check a larger bag, we would recommend using a 25″ suitcase like this as they’re still manageable but bigger than a carry on. Airlines in Europe have strict weight limits for carry on suitcases so double check these before you fly. You might only be allowed 10kgs (22lbs) and some allow you as little as 7kgs (15lbs). 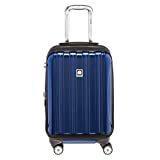 Choose a suitcase with four spinner wheels as they are much easier to manoeuvre through busy airports, train stations and city streets. 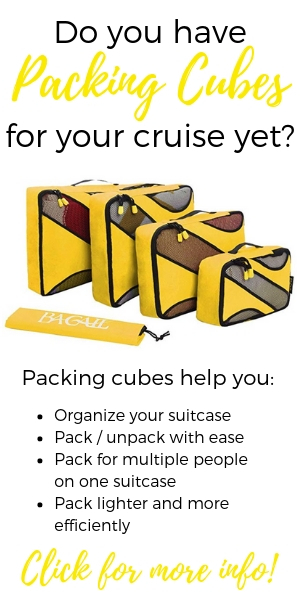 Use packing cubes to organize your luggage more efficiently. 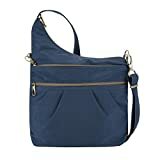 A cross body bag or backpack with slashproof straps and RFID pockets are essential for Europe. Don’t carry all your credit cards, debits cards and cash in the same place. Just take one credit card and a bit of cash out and about with you when sightseeing. Keep the rest safely hidden in your hotel room in your luggage, preferably with a luggage lock. 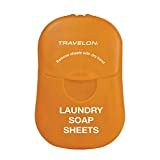 A small fold up laundry bag and some travel laundry sheets like these are great for travel in Europe and help you pack lighter. We hope you’ve found our Mediterranean cruise packing tips useful. If you’ve got any questions on what to pack for a cruise to the Mediterranean, let us know in the comments below. 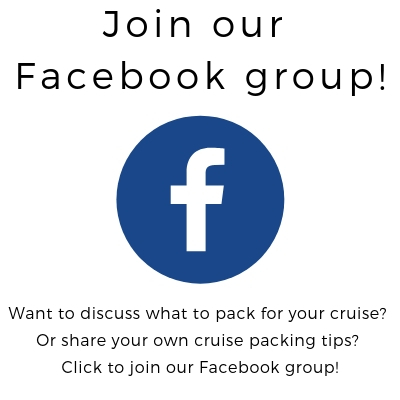 You can also join our Facebook group here to chat to other cruisers and share cruise packing tips! Still need help? Take our FREE email course! If you still need help deciding what to pack for your upcoming cruise, sign up to take our short email course. You'll learn what to wear on a cruise, what little cruise essentials can really help, how to pack your bag, what the best suitcase to take is and what to leave behind. Sign up now. It's totally FREE! We created Cruise Packing Tips to share our extensive knowledge on how to pack for a cruise. As seasoned cruisers who loves to pack just the right amount for each trip, we will help you get your cruise packing list down to a fine art.